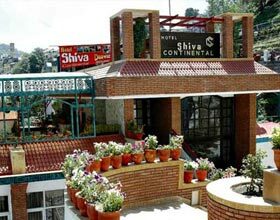 Hotel Tulip Inn Green N Breeze Mussoorie is nestled in the tranquilizing ambience of the Shivalik, just minutes away from populous Mall Road, Mussoorie. Located in Barlowganj, the hotel exalts of its locality, with convenient access to all lively hangouts of the town. Warm hospitality along with unblemished staff makes it an ideal choice for business and leisure travelers seeking accommodation with luxuries at an affordable cost. The conference hall enthralls the glory of this 3-star hotel, and host seminars or off-site board meetings for organizations. On-site night club and recreational activities including table tennis, chess and carrom are the added perks appreciated by lodgers. Hotel Tulip Inn Green N Breeze is a delight for guests with its exquisite chic-styled accommodations with marble flooring or wall to wall carpeting. Each room of the hotel has king size bed along with rich upholstery and comfortable beddings. The accommodations are subtly classified into Standard Rooms, Studio Rooms and Duplex Rooms. 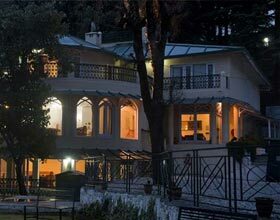 Classical shades are blended in the rooms with exemplary wooden work. 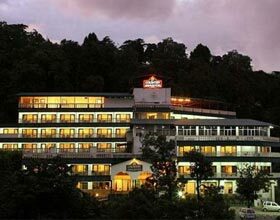 Dining at Tulip Inn Green N Breeze is a palatable delight for resident guests and other patrons visiting Mussoorie, the splendid hill station of Uttrakhand. An alluring all day dining restaurant, The Breeze Kitchen boasts of its exquisite local tinged interiors along with its savory multi-cuisine fare. Lush green garden of the hotel is a perfect venue for social gathering, cocktail parties and bonfire with barbeque, a la carte menu, and exotic cocktails.